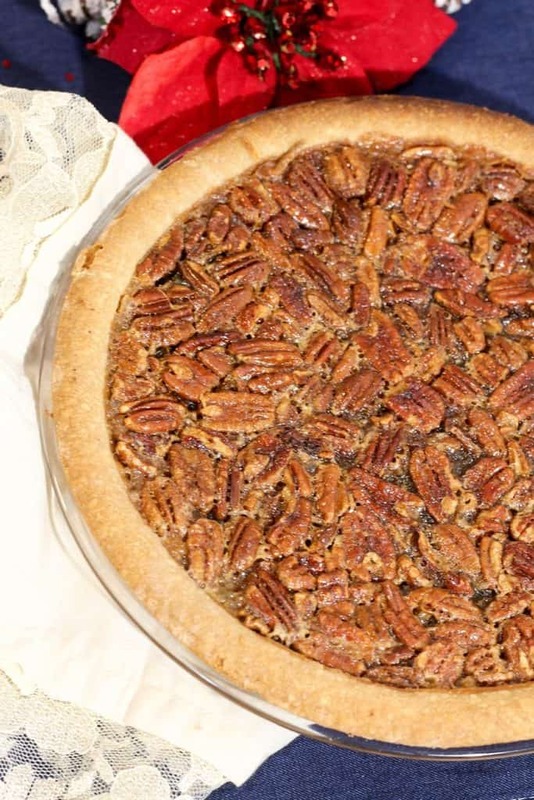 Traditional Pecan Pie: A Perfect End to Your Christmas Dinner! I have been sharing Christmas recipes for the last three weeks. 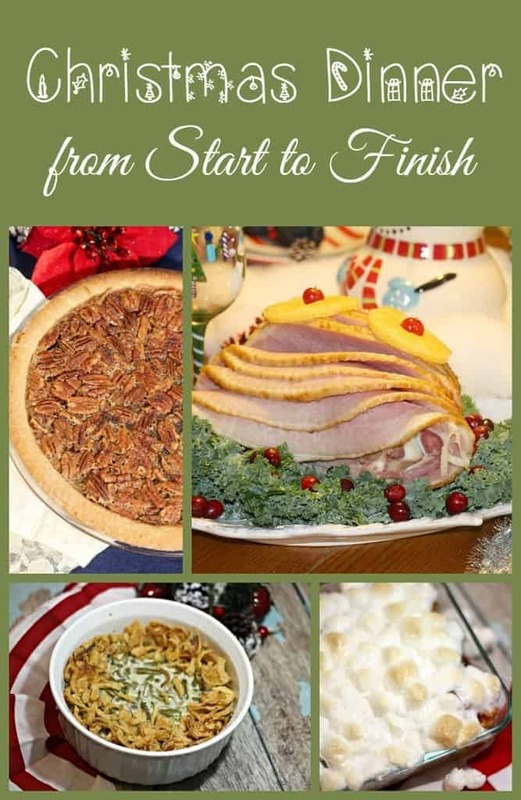 From the main dish: a delicious honey glazed ham, to the sweet potato casserole and green bean casserole recipe. 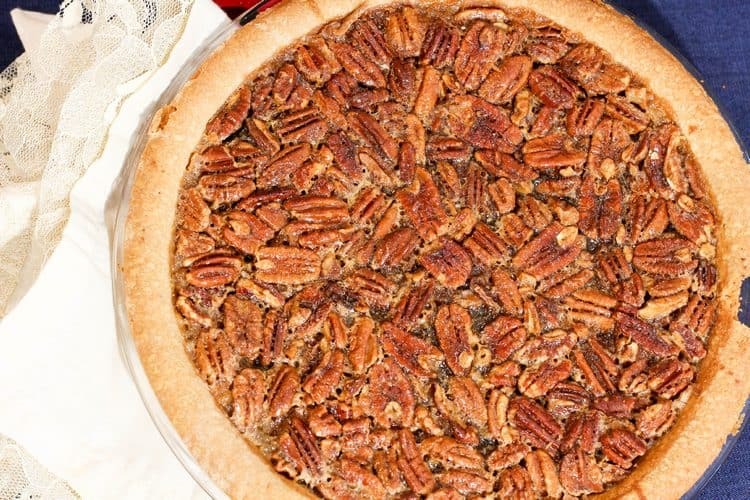 To finish this Christmas dinner in style, I am suggesting a traditional pecan pie. Many people would go with a pumpkin pie. I served that for Thanksgiving, and I want to make a change for Christmas. Can you believe that Christmas is only 14 days away. I need to speed up my shopping. I haven’t started yet. I am always last minute. I know it is not the smartest thing to do, but I am not definitive on the gifts this year. I am stuck on my husband’s. Anyways, at least, I am ahead of the game when it comes to my dinner, right? We cannot plan everything, can we? So let’s see how you can impress your guests, in-laws, parents with this traditional pecan pie recipe. In a medium bowl, beat all the ingredients except pecans with an electric mixer until well blended. Add in pecans. Stir then pour into the baked pie crust. Using a 2- to 3-inch-wide strip of foil cover the crust edges of the pie to prevent burning. Bake at 375 degrees for 40 to 50 minutes or until the center is set. Remove the foil from the pie crust edge for last 15 minutes of baking. Place the pie in the refrigerator at least 2 hours or until chilled before serving. Store any left overs in the refrigerator. Although fresh is the best; you can prepare this pecan pie one day before and store it in the fridge. It will reduce some holiday stress level. Get the kids involved in the process. The pie might not be decorated as you wish but they will have fun, and you do something else. They can roll the dough, add the pecans and, of course, taste the filling. It’s my daughter’s favorite thing to do: the tasting part. As much as I love a good presentation, having fun baking with my little one is precious and one of my sweetest holiday memories. What is your favorite Christmas dessert? A traditional pecan pie or a pumpkin pie. Could Your Home Town Cause Childhood Cancer? Oh I love pecan pie so much! I’m going to have to try this recipe! I love pecan pie, but have not personally made it myself. – it’s so sweet and delicious. I remember when I was younger, my Dad attempted to make it and burned the tops of the pecans…lol. Pecan pie is my favorite pie of all time. Once we even left out an entire stick of butter but it still tasted really good. I still can’t believe it’s December let alone nearly Christmas! Seems crazy! Plus the new year is just two weeks away? How? Just how? I have a large bag of pecans leftover from Thanksgiving that I’ve been meaning to use up. This recipe sounds incredible and it’s something that I can make for the family. I have never, ever made a pecan pie – although I absolutely adore them! Maye I should try one day. Yours is totally beautiful! Pinning for “one day”. Do you know, I’ve been in America for four years now and I’ve never tried these. I haven’t seen them before. Must try it. I’ll be honest I love me a good apple pie or crumble for dessert at Christmas. Warm with ice cream. It’s something I wait for all year long! My sister-in-law made a pecan pie for Thanksgiving, it was delicious! Definitely a treat though because it was so sweet! Thanks for sharing a recipe, I know my husband would appreciate me making this! Hi, I baked apple pie oftenly but never make Pecan pie. It looks yummy, mayebe I should make one. Cheers.